Nowadays, there are many different types of contact lenses that can help improve your vision. However, for many lens wearers, knowing which contacts are the perfect match for their eyes can be tricky. If you, like many others, are considering getting contact lenses to correct your vision, this guide will help you determine whether hard contacts or soft contacts are best for you. 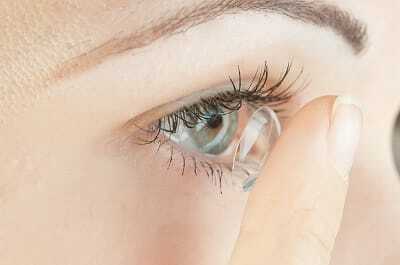 Hard contact lenses are relatively inflexible, maintaining their shape when they are in use. These types of lenses help reduce the effect of nearsightedness in young and adult lens wearers. If some of your concerns are worsening vision and eye infections, hard contact lenses may be the right fit for you. Keep in mind that while these are durable and give you clear, crisp vision, they also can easily become dislodged from the center of your eye and can get scratched. Since hard contact lenses are not disposable like soft contact lenses, extra care care is needed. Because they are more flexible and form to the shape of your eye, soft contact lenses are initially more comfortable than hard contacts. While both hard and soft contact lenses allow oxygen into your eye, some people prefer one’s breathability over the other. Some soft lenses, like Acuvue, are disposable, allowing the wearer to use them for a short period of time and then throw them away. Customized for different vision problems, these lenses are a convenient option for those with allergies or sensitive eyes. If you’re a current wearer, or if you’ve been considering getting contact lenses to correct your vision, it’s important that you know all of your options. To learn more about hard and soft contact lenses or to book an appointment at Valley Eyecare Center, call us at (602) 955-2700, or contact us on our website.